During the Regency, ladies and gentlemen of the ton went to Hyde Park throughout the Season between the fashionable hours of 5:00 and 6:00 in the afternoon to see and be seen. 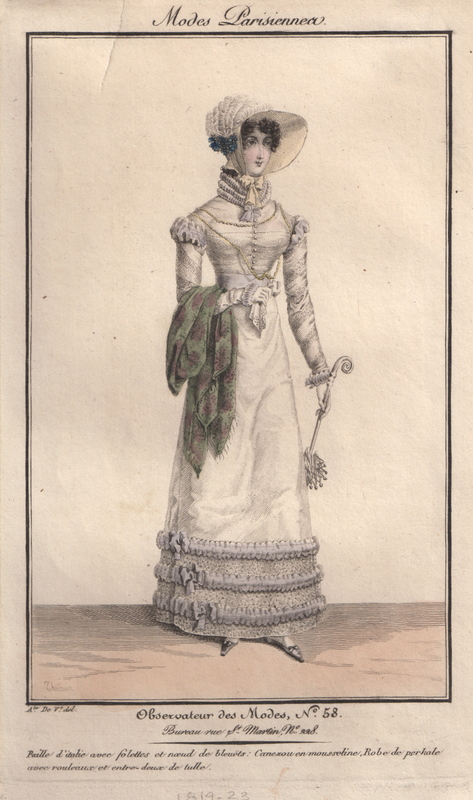 Wearing a fetching ensemble was one way to help a lady catch the eye of a potential suitor. If all else failed, she could “accidentally” fall into the Serpentine.